Are you searching for the best things to do in Nijmegen when you have one day in this beautiful city in The Netherlands? Great! 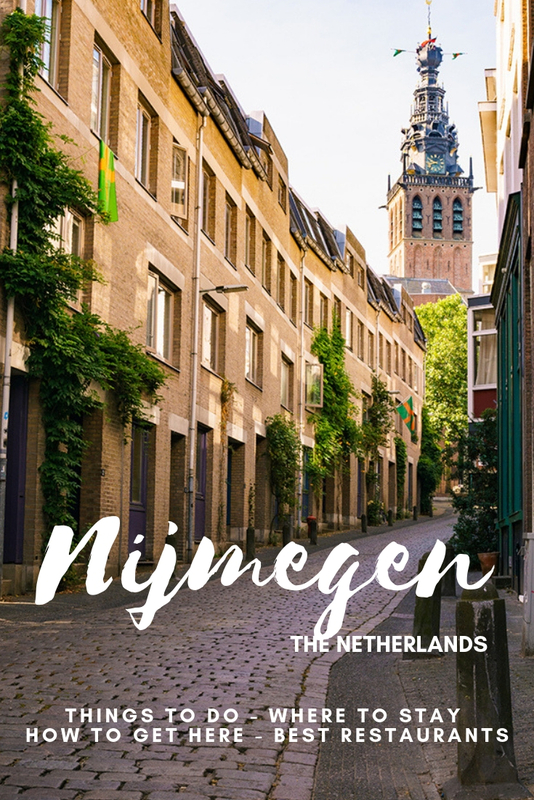 Below you will find an itinerary for one day in Nijmegen, including best restaurants, best accommodation and how to get to Nijmegen. Nijmegen is a city that has plenty of things to do. You will find that this itinerary to spending one day in Nijmegen is helpful to get a quick feel of Nijmegen. However, if you have time to spend two days in Nijmegen that will definitely help you. There are great hotels to be found in Nijmegen and even hostels and b&b’s, so you don’t need to worry about that. The province of Gelderland is not often explored by foreign tourists, which needs to change. Now, I don’t want Nijmegen to get the next Amsterdam, but it’s a city that is worth exploring. Nijmegen is a beautiful city in the province of Gelderland and not often visited by tourists. Nijmegen is also a great town to take a day trip to from Amsterdam, Rotterdam or Utrecht. Nijmegen is most likely the oldest city of The Netherlands. In 2005 Nijmegen celebrated its 2000-year existence. It was part of the Roman Empire for a lot of years, so if you’re a history buff like me, Nijmegen is a great city to visit. However, if you’re not that into history Nijmegen is a perfect city to visit as well. As you read through this itinerary for spending one day in Nijmegen, The Netherlands, you will see that there are plenty of things to do in Nijmegen. And this is only an itinerary for one day, so I picked some of the highlights. The best way to start a day in Nijmegen is with breakfast. You can find three lovely cafes in Nijmegen right here. It was impossible to list just one breakfast spot in Nijmegen, so here you have two of my favourites. Bairro Alto is located behind one of the busiest squares of Nijmegen, the Grote Markt, but somehow you will find that Bairro Alto is a breath of fresh air. It smells like cake and coffee, although I am not too fond of coffee, this smell still makes me happy. You can find great vegetarian, vegan or gluten-free options in this café in Nijmegen. The atmosphere of Bairro Alto is lovely, the only downside is that they open from 10:00 and not earlier. Don’t forget to buy the salted caramel brownie for a snack during the day. Down Town is a wonderful cafe in the centre of Nijmegen. The interior feels very much like a livingroom and is peaceful. The food at this breakfast spot in Nijmegen is fresh and even looks great. This restaurant is one of my most favourites in Nijmegen for breakfast. Before you will continue exploring Nijmegen in one day, it’s best to first know in what city you are finding yourself at the moment. The best way to do that is on a walking tour. I usually prefer to explore the city on my own, so without any guides. That’s why you will find the most beautiful streets and interesting monuments of Nijmegen here, for a great walking tour in Nijmegen. Achter de Hoofdwacht, St. Stevenskerkhof, Begijnenstraat, Oude Koningstraat, Burchtstraat, Ganzenheuvel, Grote Markt, Kerkboog, Kannenmarkt, Lage Markt, Lange Hezelstraat, Oude Haven, Priemstraat, Ridderstraat, St. Anthoniusplaats, Stikke Hezelstraat, Steenstraat and Waalkade. City hall or stadhuis: The old city hall of Nijmegen can be found at the Burchtstraat in Nijmegen. It was built between 1554 and 1555 in an early Renaissanse style. Glashuis: The Sint-Jacobskapel or Glashuis is a chapel that was built in the 15th century as part of a hospital called St. Jacobs. After the siege of Nijmegen the chapel lost its religious function in. Later on there was a glass factory, a school, storage space, cow stable, an orphanage and even a house. Nowadays it’s used for exhibitions and weddings. Waltoren Belvédère: The tower of Belvédère was a guard or watch tower in Nijmegen. It was built in the middle of the 15th century and restored in 1888. Up next, it’s time to visit the Afrika Museum in Berg en Dal. The location of this museum is a little outside the city of Nijmegen. But the Afrika museum is still one of the things you must visit when you’re in Nijmegen. The museum has two versions. In one part of the Afrika Museum, you will find a big collection of the African art of today, traditional African objects and plenty of more. All these objects tell a story about the big continent with 54 countries. In the other part, you will get to know more about the traditional architecture of the people from Ghana, Lesotho, Mali, Cameroon and Benin. The main point the Afrika museum tries to tell you is how, even though we have a few differences, we’re all the same. We’re humans. That’s all. The Afrika Museum opens from Tuesday- Sunday from 10:00 – 17:00. It’s closed on most Mondays, 25th of December, 1st of January and the 27th of April. Have a look at 9292.nl or download their application for your phone, so you know the fastest way to get to and from the Afrika Museum. 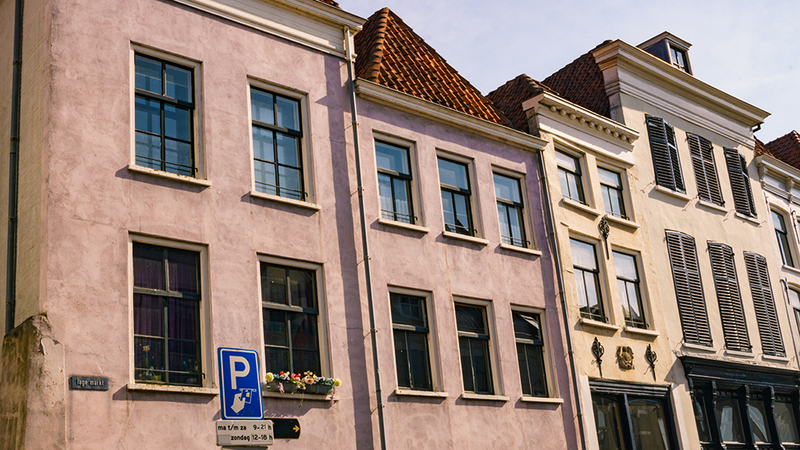 If you’re interested in shopping in Nijmegen, then continue reading. Or if you like strolling through a nice street and exploring some local boutiques, as well. For shopping in Nijmegen, you have to visit the Lange Hezelstraat. This shopping street is the oldest shopping street in The Netherlands. It also has the cutest shops and boutiques of Nijmegen and surroundings. When you’re there, you have to step into the Stikke Hezelstraat as well. 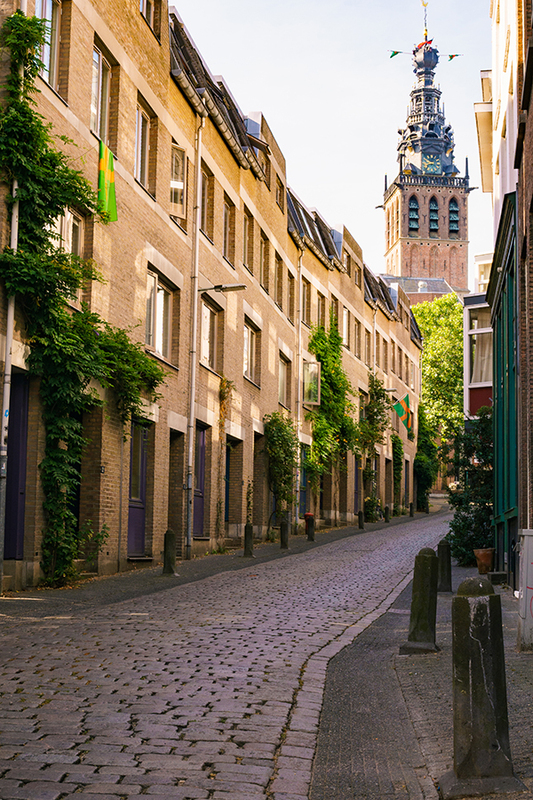 These two streets are the place to be for some good shopping in Nijmegen. After a long, but fulfilling morning exploring Nijmegen you must be starving by now. Below you can find one of the best lunch cafes/ restaurants in Nijmegen, so you’ll be finding good food there. At Fika you can find great sandwiches in a Scandinavian setting. This is the ideal breakfast or lunch cafe in Nijmegen. The atmosphere at Fika is great, the staff is friendly and the food is delicious. That’s all that matters. This nature reserve can be found just East of Nijmegen and is a beautiful reserve to cycle and walk through. De Ooijpolder together with the Duffelt form a stunning area. You will see a vast landscape with idyllic villages, typical Dutch farms and beautiful nature. De Ooijpolder is the nature reserve, but the Duffelt area surrounds it. Even though Nijmegen is not a big city, I always prefer to at least get to see a little nature when I’m exploring an area or city. Whether it’s a park or a nature reserve just around the corner, it’s both great. In De Ooijpolder you will smell the freshly mowed grass and meet some friendly cows. The best part about this nature reserve near Nijmegen is that you can climb over some fences and walk through meadows and special paths. Keep in mind, you’re not allowed to climb over every fence. In De Ooijpolder there are 9 walking routes that will send you through farmland. The routes vary in length from 3-10 kilometres. So, if you’re looking for a calm area, visiting nature reserve De Ooijpolder in Nijmegen is a wonderful idea. 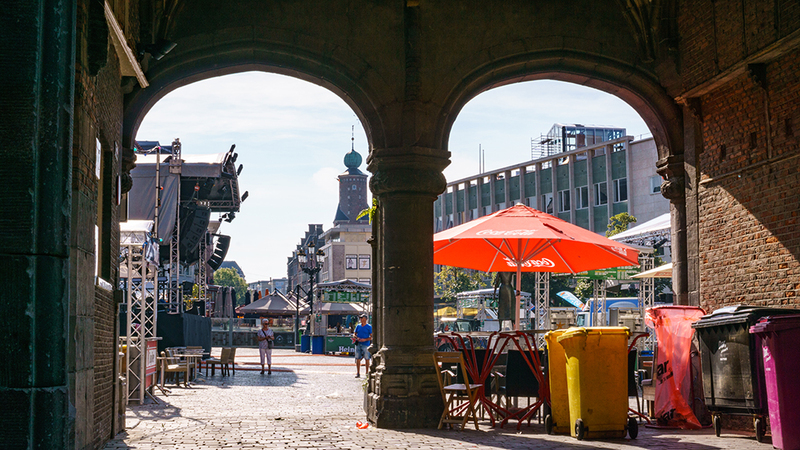 If the weather isn’t in your favour, or you’re not a fan of some of the things on this list, then a great thing is that Nijmegen has plenty of more great things to do. There are many more museums in Nijmegen than just the Afrika Museum. I would recommend you visit the Nationaal Bevrijdingsmuseum (National liberation Museum) and Museum Het Valkhof in Nijmegen. The National Liberation Museum of Nijmegen, The Netherlands, is a wonderful museum when you’re interested in the second World War. Here you will learn about the international and national events that were critical for the liberation of The Netherlands. But also for the rest of Europe in 1944 and 1945. In the liberation museum in Nijmegen, you will get to know the economic, political and cultural effects of the war and the years after. This history will be combined with current issues in the world when it comes to democracy, freedom and human rights. The location of the Liberation Museum is also very interesting. One of the largest air landing operations in history took place here. During the famous Operation Market Garden in September 1944. Museum Het Valkhof in Nijmegen has a very big collection of modern art and old masters, as well as Roman antiquities. When you’re walking to Museum Het Valkhof there’s a big chance that you came from the historic Valkhof Park. If you didn’t, take a walk through this beautiful park in Nijmegen. 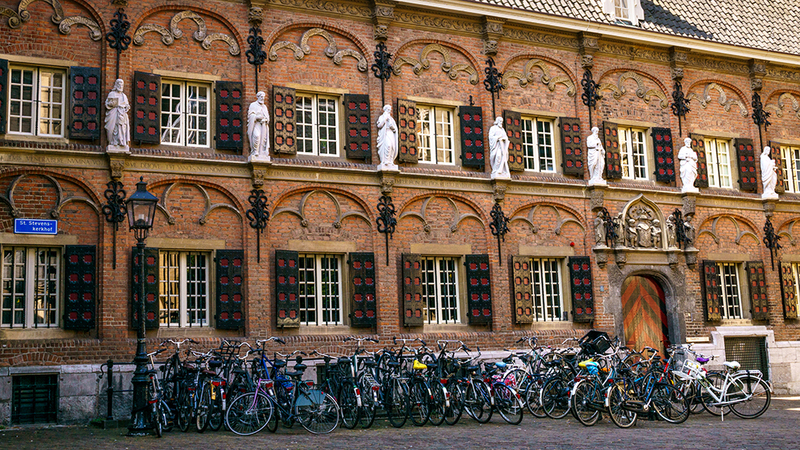 In Museum Het Valkhof you can find several routes through exhibitions. And at the long glass gallery, you can even find a panoramic view of the river landscape. If you’re interested in getting to know more about the Roman history of Nijmegen and are interested in art, then visiting Museum Het Valkhof is a great choice. Closed on: 25 December, 1 January, the King’s Birthday (26 April), and the finish of the Four Days Marches (Vierdaagse) on the third Friday in July. Also closed on Mondays except for January 2, February 20 and 27, Easter, Whitsun, October 15 and 22, December 24 and 31 and 2nd Christmas day. You can tour the brewery De Hemel (translation Heaven) on Saturday and Sunday without making an appointment. You will be taking a unique inside look in the brewery. This craft beer brewery in Nijmegen is the oldest craft beer brewery of The Netherlands and located in one of the oldest buildings of Nijmegen. With a guided tour you will get to know everything about the beers that are produced here, the process and techniques that are used. Visiting the brewery is always accompanied by a tasting session of the products that are made in the brewery. If you’re with a group with at least 10 persons you can visit the brewery every day of the week, if you reserve in advance. This is a side river of the Waal. There’s a small bridge that will lead you to the beaches and the Waal river. After a few beers, it’s time to walk around Nijmegen so the alcohol will affect you a bit less. 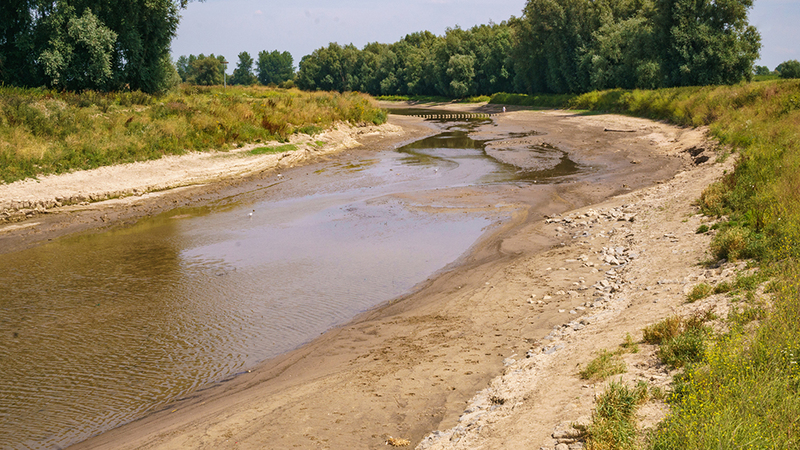 Take a walk along the beaches of the Waal river and make some friends with the cows and horses that live in this nature park. As soon as the first ray of sunshine reaches the city of Nijmegen you will find that people flock to the Waalstrandjes or Waal beaches. You can even swim in the river while big ships sail in the middle of the river. There are no lifeguards, so if you cannot swim, don’t even think about going for a swim into the Waal river in Nijmegen. You will die or bring other people in danger. There are several beaches that you can go to. Some can be found just below the train bridge that will lead you into Nijmegen, others are hidden more to the Eastern part of the city. I will put two addresses here that are closest to the two beaches. In one area you will find the horses and cows, but not in both areas. Always keep your distance and never feed the animals. 2. Ossenwaardpad. You will reach these beaches in Nijmegen by walking on the spoorbrug. From here you will see stairs that will lead you to the beaches. Nijmegen has plenty of great restaurants. It’s impossible to list all of the best restaurants of Nijmegen in this one-day itinerary. However, I have listed three of my favourite restaurants in Nijmegen, The Netherlands. If you’re looking for good food and a great dinner in Nijmegen, then visiting these restaurants is a great idea. Restaurant De Meesterproef in Nijmegen has an big, open kitchen, a spacious terrace and a beautiful interior. It’s located inside an old factory, which you will see straight away. In my opinion, that adds a lot to the atmosphere. The menu of De Meesterproef was a surprise to me. The menu at this great restaurant in Nijmegen is nothing like any other restaurants, which results in some very special and modern dishes. De Nieuwe Winkel is a great restaurant in Nijmegen for vegans and vegetarians, and also for the people who want to enjoy a great meal. The food at De Nieuwe Winkel in Nijmegen is surprising to say the least. Your tastebuds will be very happy that you’ve decided to bring this restaurant in Nijmegen a visit. As of now this restaurant is under construction and has changed to a new location (stated below). As soon as you’re able to visit this great restaurant for dinner again, this information will change. De Firma in Nijmegen is the last restaurant for this itinerary of Nijmegen, but definitely not the least. Somehow De Firma is still a bit tucked away from the public, but that makes visiting even more worth it. You should not go into this restaurant for a quick bite, neither at the other restaurants I mentioned. Eating dinner is an experience in The Netherlands, and at De Firma. Which means this restaurant in Nijmegen cannot be a better pick for a great dinner. The flavours are incredible, the staff is great, what else can I wish for? One of the things I prefer to do after dinner is going for a walk. As the evening falls you will notice a change in the city of Nijmegen. So taking a walk along the Waal river and through Nijmegen is the best way to enjoy the peaceful city in the evening. Nijmegen is a city that is very popular with students and Nijmegen is at the same time very authentic. This means that there are great brown cafes and bars that you can visit in Nijmegen. From the oldest cafe of Nijmegen to getting a drink at a bar. It’s all here. Cafe in De Blaauwe Hand is the oldest cafe of Nijmegen, and a great spot to go for drinks. It’s located in a building from the year 1320. Cafe In De Blaauwe Hand exists since 1542. And although it wasn’t originally named the way it is now, people always called the cafe In De Blaauwe Hand ever since 1542. Get one of the beers that are brewed at the Stadsbrouwerij De Hemel. There are some great hotels, hostels and B&B’s to find in Nijmegen, so here you will find the best accommodation of Nijmegen. Note: These links are affiliate links, this means I get a little commission if you book through my link at no extra cost for you. Thank you for supporting my website. Guesthouse Vertoef, click here for the availability and current prices. Boat ‘Opoe Sientje’, click here for the availability and current prices. Hostel Barbarossa, click here for the availability and current prices. Hotel Credible, click here for the availability and current prices. Boutique Hotel Straelman, click here for the availability and current prices. Hotel De Prince, click here for the availability and current prices. From Amsterdam: The best way to get from Amsterdam to Nijmegen is by train. Take the intercity in the direction of Nijmegen from Amsterdam Centraal. Get out at Nijmegen. From Amsterdam to Nijmegen it will take you around 1,5 hours. From Utrecht: If you want to make a day trip from Utrecht to Nijmegen then you have to take the train as well. Take the intercity in the direction of Nijmegen and get out at Nijmegen. The train ride from Utrecht to Nijmegen will take you around 55 minutes. From Rotterdam: When you want to make a day trip from Rotterdam, Nijmegen is a perfect option. Take the train from Rotterdam Centraal in the direction of Eindhoven. Get out at Breda station. Then transfer to the intercity in the direction of Zwolle and get out at Nijmegen. Or you can take the train from Rotterdam Centraal in the direction of Utrecht Centraal. At Utrecht Centraal, you transfer to the intercity in the direction of Nijmegen. From Rotterdam to Nijmegen by train will take you around 1 hour and 40 minutes. I hope that planning a day trip to Nijmegen will be easier with this article. If there are any questions about Nijmegen or something else, don’t hesitate to ask me. If you’ve used this itinerary to spend one or two days in Nijmegen, let me know below. I hope that you loved getting tips for great restaurants, museums, hotels and discover what to do in Nijmegen. Don’t forget to visit other cities and beautiful places in The Netherlands as well, such as Maastricht, Delft and the province of Friesland. If you’re interested in discovering Amsterdam like a local, then you can find an itinerary for 2 days here. Click here to see all my recent articles. Share this post! !